Sitting in a steep valley surrounded by extinct volcanoes lies Clunes, a historic gold mining town located in the central goldfields region of Victoria, north of Ballarat. The Djadja Wurrung people were the first inhabitants of the area and occupied most of central Victoria. The district was discovered by Major Thomas Mitchell in 1836. The first European settler, Donald Cameron, took up a pastoral run in 1839, and named it ‘Clunes’ after his birthplace in Scotland. The name in Gaelic means ‘a green place’ or ‘a pleasant place’. 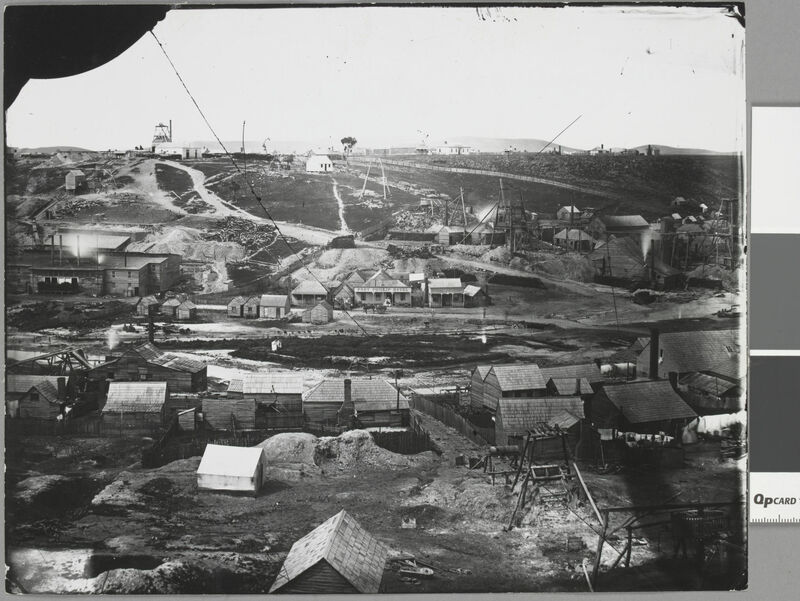 First traces of gold were found on the property of Dugald Cameron, Donald’s uncle, in 1850. 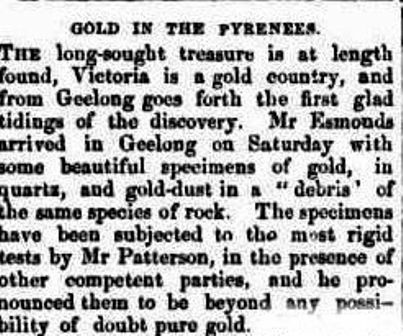 The discovery of gold in the area was concealed until 1851 when Irishman James Esmond, ‘Lucky Jim’, mined some gold samples opposite Cameron’s property. He took the gold to a Geelong jeweller who proclaimed it to be genuine. Esmond is recognised as the first person to report a discovery of payable gold in Victoria. So here marked the beginning of the gold rush in Victoria with Clunes heralded as the colony’s first gold town. 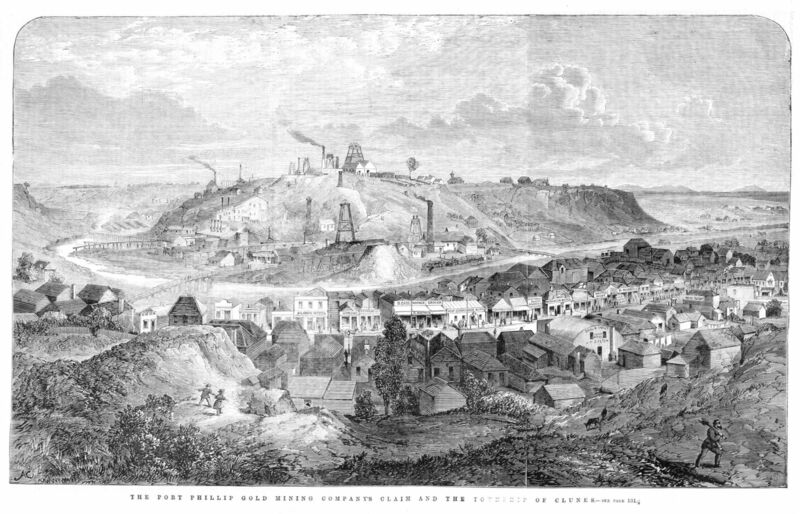 In 1857 the Port Phillip Mining Company negotiated a lease with the land owners in Clunes that gave the company the right to mine the land with the owners receiving 10% of all gold mined. The mining was very lucrative amassing a wealth of £135,000 in royalties over the first twenty-four years. By 1873, the population of Clunes hit its peak at 6,203. The current population is 1,656. In that same year Clunes was the site of Victoria’s first gold strike. Workers at the Lothair Mine had been striking for many weeks in a bid to secure the eight hour day. The company directors of the mine changed tack and decided to bring in Chinese workers. On the morning the Chinese arrived by coach, 1000 men, accompanied by women and children, formed a barricade and proceeded to stone the Chinese. Police who arrived on the scene declared the barricade unbreachable. The coaches were forced to retreat to the delight of the rioters. The Victorian government took no action against the striking miners and no charges for riotous behaviour were laid. Clunes is one of the most preserved 19th century towns in the central goldfields. This has made it a popular location for film and television. Fraser Street, the main drag, has appeared in major Australian films including Mad Max and Ned Kelly. The town is well known for its antique and collectable stores and since 2007 it has hosted the Booktown event, now held annually on the first weekend in May. In 2010, Clunes was declared Australia’s first International Booktown by the International Organisation of Booktowns. Around 15,000 bibliophiles flock to the event to browse a vast array of collectable and second hand books. Around 60 visiting booksellers assume quarters in and around the town’s historic buildings. Clunes is experiencing a resurgence. So much so that the railway station was reopened in 2011. 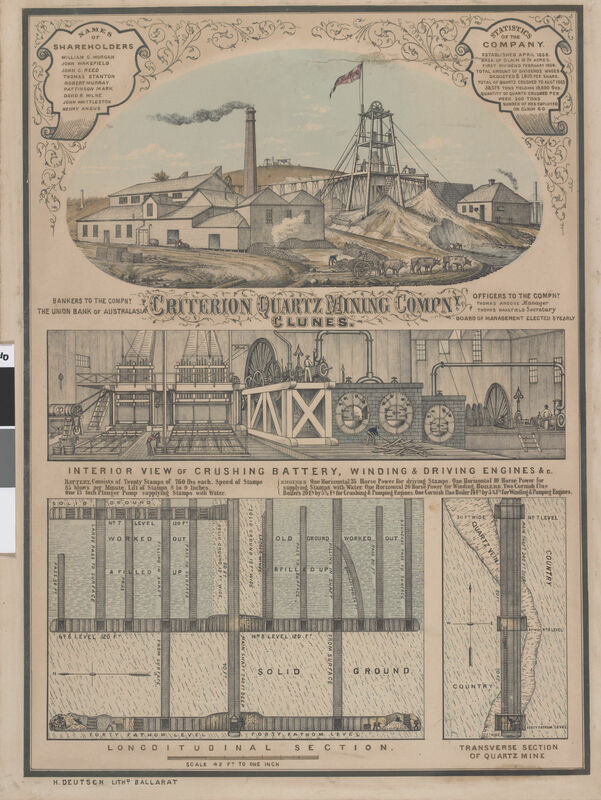 Criterion was a part of a co-operative with the Port Phillip Mining Company. 2. Townsend, May 1989, Early pioneers in and around Clunes, M.L. Townsend, Kingston, Vic. 3. Townsend, May , The story of Clunes, M.L. Townsend, Kingston, Vic. My wife’s family owned and operated the Northumberland Hotel, names were Gritton and Woolcock. Great grandmother Catherine Woolcock sold the Hotel around WW1 and the ran a Lolly Shop in main road. They left Clunes about the end of WW!. She was a widow with 4 children. Husband died at 45 y.o and was John Woolcock a surveyor, you have he’s funeral notices. Thank you for sharing your wife’s family connection with Clunes. Am doing a Gritton tree for a friend. Her mother was one. Do you have any background on the Clunes Grittons? My friend’s family lived around Melbourne suburbs. I’m not sure if Dan will be notified of your reply to his comment. You might find it useful to have a look at the numerous guides we have created for family history research. If you’re finding it difficult to locate information, you can submit an enquiry through our Ask a Librarian service. Thank you for telling us about your family connection to gold mining in Clunes. 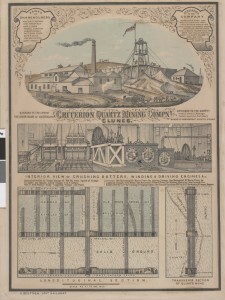 Criterion were one of the major mining companies operating in the area at the time. Your great great grand uncle would have witnessed the mining boom and bust. Interesting to note that Western Australia was experiencing the beginnings of a mining boom 100 years after his death. 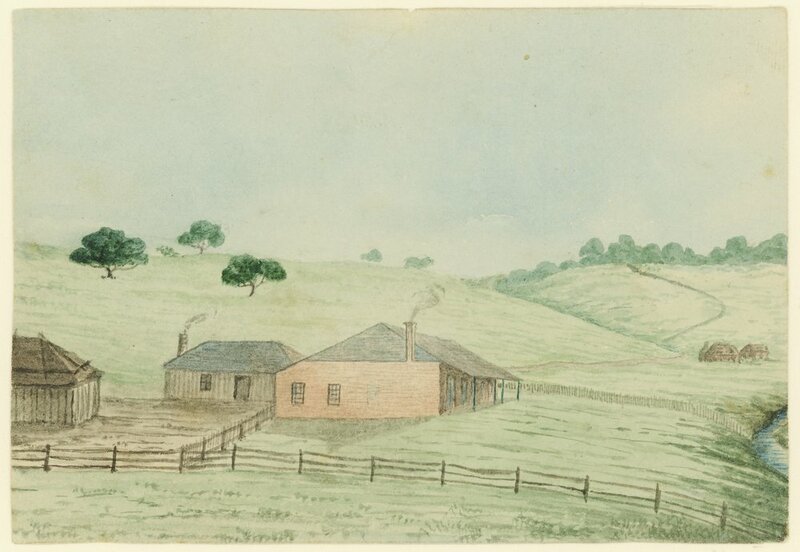 Hello, I am researching my family, The Spence family, who settled in Clunes in the mid 1850’s. I understand that my GGG Grandmother, Jane Heslope Spence, ran the local hotel up until she died in the early 20th century. One of her sons also ran a hotel in Talbot. She was born in 1833 and married George Henry Spence in Clunes. They bore 11 children, most buried in the local cemetery, along with Jane and George. Hoping to connect with any family still in the local area. Looking for photos and documentation if available. Thank you for your family history enquiry related to Clunes. We will be in touch during the next week or so with a response. Paige. Please contact me – I too am searching for information on the Spence’s. George had a son, George also, he married my 2nd Great Aunt Grace Ann. Hi Susan, glad you found the blog post of interest. I visited Clunes for the first time last year for the famous Booktown Festival. It’s a beautiful little town with a rich history. I also have Irish heritage and one of my ancestors lived in Clunes as well. Have you any idea as to the strange mullockheap rowsat the Lothario mine in Clunes? I thought that the overburden was healed up like mountain shapes, not set out in parallel rows like I saw here.Curious. Hi Sylvia, are you referring to mullock heaps at the Lothair mine in the past or present day? I was in Clunes about a year ago and the major impact mining has had on the environment is still very visually apparent today. Staff at The Clunes Museum may be able to shed light on your query. Alternatively, local heritage studies can provide very useful information regarding historical environmental impact of an area. I have just come across this site as I am looking for an Agnes Slater who was a friend of my grandmother in Clunes. She possibly took into her care a baby my great grandmother bore illegitimately and I cannot find any record anywhere of the child’s death or otherwise after she was christened in Clunes 1893. It is a brick wall which I cannot seem to climb over. Thank you for your comment on the blog. One of our librarians will follow it up and get back to you with a response. They might find a way over the brick wall. I am looking for information to do with my Great Grandparents Henry Mitchell Jenkin and Jessie Montgomery, lived and owned houses in Clunes, moved to St Arnaud where Henry is buried, Jessie is buried in Boulder Cemetery WA. They had 6 children, 4 of whom survived. I have lodged your enquiry with the Family History team and they’ll be in touch.